OYSTER BAY, NEW YORK (March 24, 2016) – The C. Thomas Clagett, Jr. Memorial Clinic and Regatta and Oakcliff Sailing are happy to announce that the two organizations have joined forces to create a new match racing event for adaptive sailors in North America. Bill Simon from Oakcliff Sailing and Timmy Larr from The Clagett saw a need for competitive adaptive sailors to have options for racing and therefore the Clagett/Oakcliff Match Race event was created. Hosted by the Waterfront Center in Oyster Bay, NY, the inaugural Clagett/Oakcliff Match Race event will be held July 15-17, 2016. The event is open to both adaptive and able-bodied sailors as well as US and International sailors, however at least 1 person on the boat should identify as having a disability. Five time and current US match racing champion Dave Perry (Pequot Yacht Club, CT) will be on hand to provide coaching in boat handling, boat speed, and match racing. Competitors will be sailing Sonars provided by The Waterfront Center and Seawanhaka Corinthian Yacht Club. “We at the Clagett are very happy to announce that The Clagett and Oakcliff Sailing have teamed up to provide a competitive sailing option for adaptive sailors in North America. 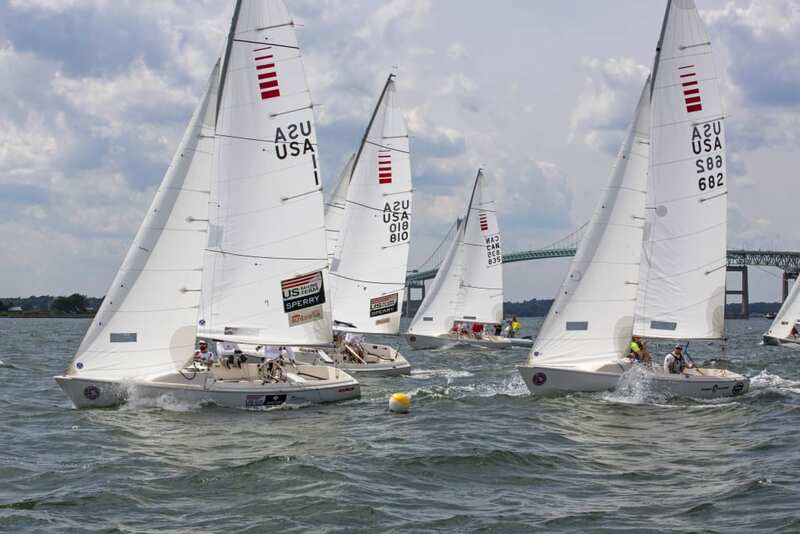 The Clagett/Oakcliff Match Race will allow sailors to take part in a match racing event at The Waterfront Center in Oyster Bay,” commented Clagett President and Co-founder, Judy McLennan (Portsmouth, RI). Participating sailors who are interested can get involved in two ways. Teams (consisting of two or more, including skipper) can request an invitation online and individuals looking to join a team can add their name to an online crew bank. Scholarships are available for travel and housing through The Clagett. About The Clagett/Oakcliff Match Race: Founded in 2016, The Clagett/Oakcliff Match Race event is a match racing event open to both adaptive and able-bodied sailors from the USA and International. At least one person on the boat should identify as having a disability. The Clagett, whose motto is “Reach for Success”, and stated mission is “to assist sailors in realizing their potential on the water by providing them both the knowledge and tools to improve their skills and the opportunity to use these skills in competition,” has joined with Oakcliff Sailing, a non-profit coaching and training center for sailors who have progressed beyond traditional coaching methods. The event will be hosted by The Waterfront Center in Oyster Bay, NY and supported by SailAhead and the Warrior Sailing Program.